Welcome readers! The All-County Denver Metro Property Management team and I are proud to serve our community by providing Denver Metro property owners and their tenants with exceptional service that they can count on! We work with clients from all over the Wall Street of the West, including those in Jefferson County, Denver County, Arapahoe County, and Adams County. Denver continues to take the lead as one of the nation’s best metros to invest in real estate. Voted the best place to live in the West 2015 by Money magazine and known for its robust job market, quality health care, exciting culture, recreation, and open spaces, Denver Metro and the surrounding area is a place we’re happy to call home and our property management professionals aim to keep it that way! 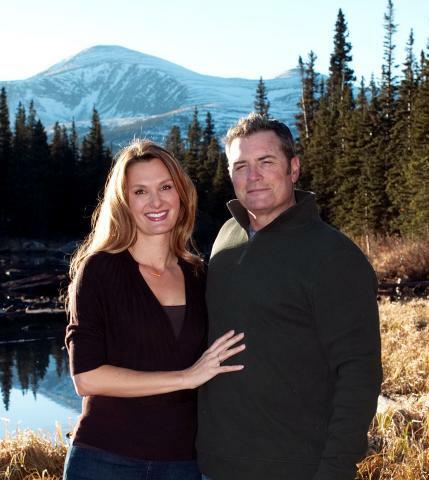 My name is Laura Baron and Jon and I lead the Denver Metro Property Management team. For the past seven years, I’ve worked as a real estate investor, a property owner, and a property manager. I learned quickly that with rental property ownership, there can come headaches and stresses too much for the average do-it-yourselfer to half haphazardly take on as a part-time job. Property management can easily create a vacuum for your valuable time and money. Costly advertising, lengthy background checks, time-consuming scheduling of repairs and maintenance, and late night service calls can frustrate even the most motivated property owner. Fortunately, trusting your investment to the professionals at All County Property Management can take the load off of your shoulders. Working with All County Denver Metro Property Management means that you get to do what you do best and let us handle the rest! All County Denver Metro is trustworthy and well qualified to grow and safeguard your real estate investments. The All County family of locations emphasizes a culture of continuous improvement and education, which converts to competent, professional and reliable property management service for our property owner clients and their tenants. All County Denver Metro is concerned with maximizing your profits. When you’re profitable, we’re profitable! We apply our expertise and experience to fill vacancies fast. We also work to minimize your expenses and with our special vendor relationships and pricing agreements, All County Denver Metro can keep your cost down for things like regular maintenance, cleanings and repairs. We also work to reduce your stress and to save you time. Our all-inclusive services such as marketing, tenant screening, lease negotiating, and daily managing are among some of the main services offered to you and all at one low monthly management fee. At All County Denver Metro Property Management, we do all that we can to stand apart from the rest. Our team of property management professionals provide the best in quality management and client service. At All County, our property managers are Colorado Real Estate Agents. We are affiliated with the National Association of Property Managers, the National Association of Realtors, and the Colorado Association of Realtors. If you would like to learn more about our company or if you’re ready to experience the difference that competent and professional property management can make, please contact All County Denver Metro Property Management today! We are a full-service property management company. We handle everything from advertising, to tenant screening, to preparing the lease and collecting rent. Click the button below to learn more about our residential property management services in the Denver, CO area.